Located in the sort after 'Eastern Hill' area of Whittlesea is this lovingly renovated and updated family home. 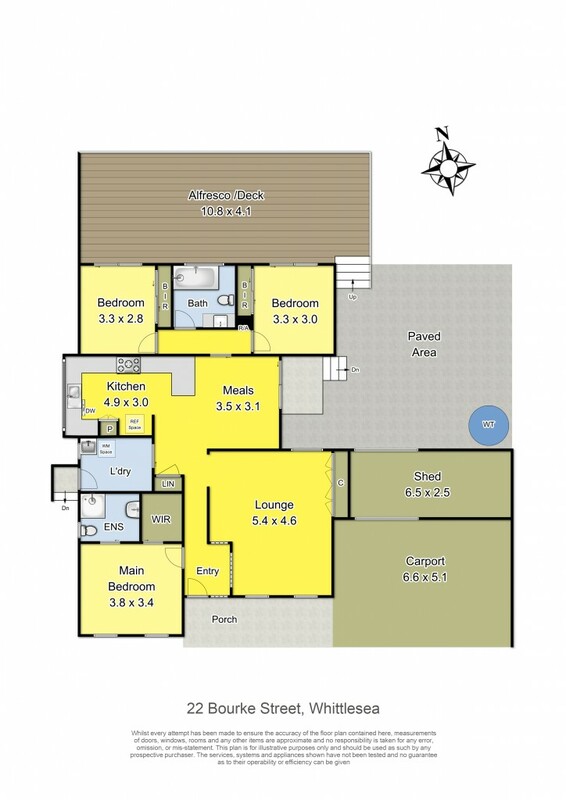 Comprising 3 bedrooms - main with fitted walk in robe and ensuite, 2 other bedrooms have built in robes and sliding glass doors to access rear entertaining. Family bathroom with big deep bath. Large and bright loungeroom, Stunning kitchen with black appliances - including 900mm 'Falcon' Stove, great cupboard and bench space, adjoining meals area. Ducted gas heating and evaporative cooling. Fabulous covered and decked entertaining situated to take in the fantastic views towards Great Dividing Range. Huge backyard with 3.5m x 9m 'American Barn' style shed with concrete floor and power. Other lock-up workshop / storage area and Double carport. A terrific package that has the lot.